Dear Vodafone, I’ve just fallen out of like with you | Melbourne, as in the city. I’m disappointed that I had to write this letter, but due to my recent experience I would like to break up with you. You have failed me in my time of need and have thereby lost my faith and affection. My iPhone 4 screen shattered last week. I dropped it when putting it in my pocket and it landed at the wrong angle on concrete. 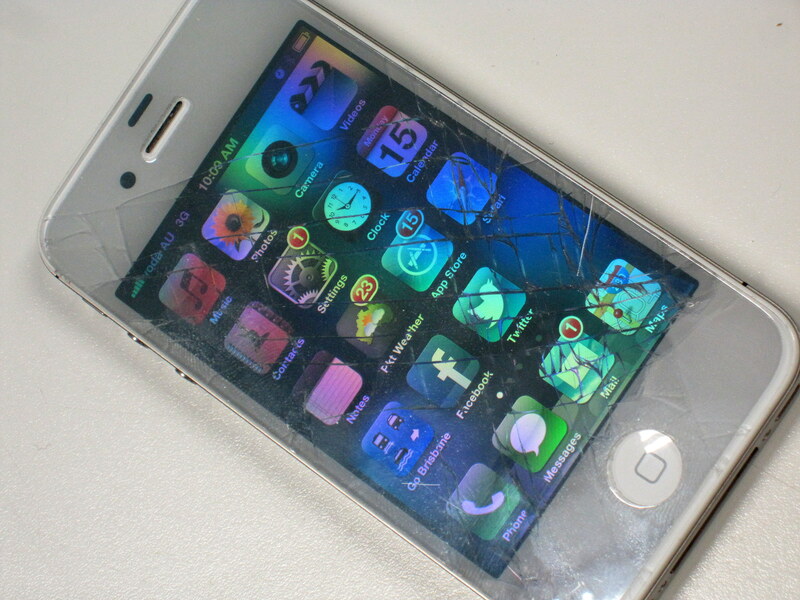 Everything else still works, it’s just the screen that shattered. No I don’t use a case. I’m morally against covering up a beautiful physical product with an ugly case. A well-designed product shouldn’t need one. I often wonder what Jonathan Ive thinks about people covering up his beautiful industrial design work with a crappy piece of rubber…but that’s another conversation. Vodafone, why I blaming you for the iPhone’s flaws is because I’ve been paying $10/mo on phone insurance for the last couple of years which is supposed to take care of me in these situations. This is the first time I’ve needed to use the insurance and I’ve found that it is a completely disappointing product. I broke the phone on a weekend. 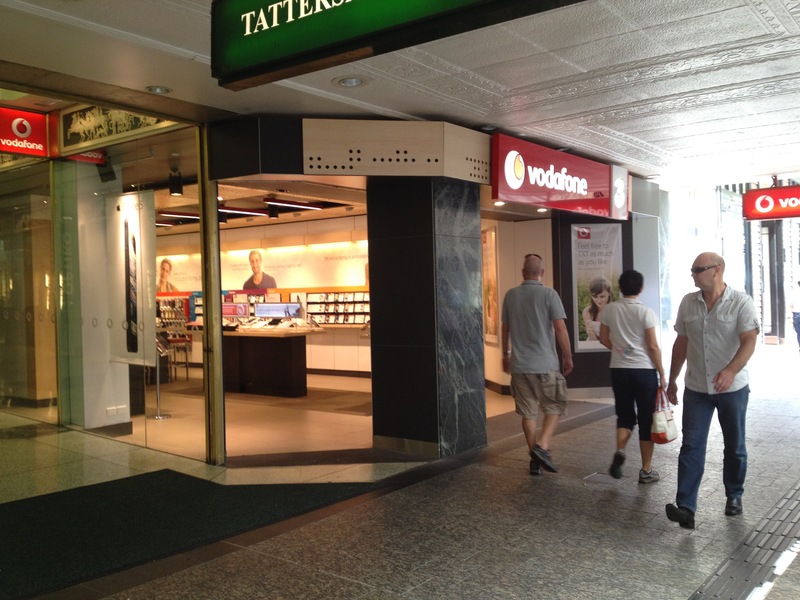 That Monday I went in the Vodafone store in the Queen st Mall to figure out what I needed to do to get it fixed. My assumption was that you’d be able to help me fix it there on the spot somehow. It would probably involve sending it off somewhere to be fixed, but it would only take a day or two to get done. In the mean time you’d supply me with a loaner so that I wouldn’t be left without my crucial communication tool (read ‘extension of my personality’). It was a busy time for me, I had a crazy busy work week and was going away for the upcoming weekend. I didn’t have the time to follow up and certainly couldn’t afford to be without a phone for long. When I showed my poor phone to the friendly girl in store she told me that to get it fixed I had to go on the Vodafone website and submit an insurance claim. Once the claim had been processed I’d be given a claim number that I could then bring back in to the store and then they would help me. I asked if I could sit down and do it now on the computer she was showing me on. Unfortunately, there was no point as the claim would take approximately 5 working days to be processed….5 working days. What was I supposed to do in the mean time? Now my phone was still just functional. It ran fine and I could just make out what it said through cracks in the shattered glass. But what would have happened if it didn’t work at all? I’d just have to wait patiently for 5 days while someone processed the paperwork? She told me the alternative was to go to an Apple store and get them to do it. It would be more expensive (about $225 compared than $125 for the insurance excess) but it would be doe while I wait. But then why have I being paying for insurance on my phone all this time? Flabbergasted, I went back to my office to submit the claim online as a matter of principle. 5 days later, I received an email from the insurance company checking my phone number. Due to the poor usability of their web form I accidentally left out a digit of my phone number. That was on a Thursday, I then had to wait another 4 days to Monday before they replied with my claim number. Today I went back in the store with my claim number, the lovely girl told me that I’d have to then send off my phone to the company to be fixed. She said it would probably take about 5 days, but wasn’t sure because they don’t usually see the phones again in store as they get sent straight to your address. There was no automatic offer of a temporary replacement phone to keep me going in the mean time. I felt sorry for this poor girl, she seemed genuinely pained when I told her that I would prefer to go away as a disgruntled and unhappy Vodafone customer to sort it out myself at an Apple store. She was perfectly friendly and as helpful as she could be. I almost wish that Vodafone would apologise to their staff for putting them in to this position. I spent a day in a Vodafone store once as part of some customer research. Usually the staff are always hugely helpful and friendly, they are highly affective (and creative) at fixing the problems that they have systems access to sort out. But they are often handcuffed in key areas and end up copping abuse from customers for things they have no control over. They are often left with no choice but to tell customers to call the call-centre to get some things done. From a customers perspective that makes no sense. They are Vodafone staff, working in a Vodafone store, wearing Vodafone branded clothing, why can’t they help me with everything? This all stems from a bad product decision. Whoever is the product manager of the phone insurance product deserves the blame for this. They chose and use a poor 3rd party vendor who offers an extremely disappointing customer experience. Either way, as a customer I don’t care. I pay Vodafone for my insurance and am extremely disappointed with how you are (not) helping me in my time of need. The insurance is provided by a 3rd party company, but it is still your responsibility. I am a Vodafone customer, not a Marsh customer. I pay you $93 per month for your service, part of which is for insurance in case something happens my phone. I’ve been a content Vodafone customer for a few years now. Your network issues that everyone always calls you ‘Vodafail’ for don’t bother me too much. I’m a city dweller where I get good enough coverage. Whenever I leave the city I’m generally quite happy to escape phone coverage. I’m happy paying less for the inferior network. I’ve also always had a soft spot for Vodafone after having worked there for a few months in the Online User Experience Team. They used to be a clear step above their competitors on the online customer experience front, which is more important to me (as a side note this has changed somewhat nowadays as Telstra has managed to catch up quite a lot). I used to be a net promoter of yours. I would happily give you an 8 on the NPS. Despite all the other complaints I had heard, I was always quietly happy with my service. Now I have become a detractor. Now I’m left bitching about my experience and how bad Vodafone is to anyone who will listen. I would be lucky to give you a NPS rating of 4 at the moment. In my time of need you were not there for me. Now I can’t wait for my contract to finish so that I can play the market a little and see what other providers out there are like. Vodafone, I was hoping that this day wouldn’t come but unfortunately now it has. Unfortunately, it’s not me, it’s you. I would like to break my ties with. I hope you can understand and do something to change your insurance product in the future, even if it’s just for the benefit other customers other than me. Very true my friend, I remember how back in the days I used to remain loyal to may carrier because of how happy I was with the service (despite being more expensive than competition). That was with formerly Spanish carrier Airtel which, oddly enough, was later on bought by Vodafone. Today there’s no premium, no customer experience any more. This service has been completely commoditised and price is the only thing that matters. How sad. Sad story Ben. It is a shame that were so happy for almost all of the time. Just one ‘small’ thing became bigger than all that loyalty that had built up. Good point about the impact on staff.